The perfect blog post is most always a faraway mirage. Writing can be tedious – that much we can all agree on. Depending on each person in part, writing a blog post can be either easier or more difficult than an article, a news piece, or fiction. Whether on a set theme or on one of the writer’s choosing, the article will end up a strange mosaic of words. One may or may not be satisfied with the result, but it still has to be sent to meet that deadline. That’s how we learn to start thinking big and to look at the larger picture. It’s always important to keep things in perspective. The writer should think about the desired final form and never let it get out of their view. That being said, it’s also paramount to let the sentences and ideas flow naturally, to not be driven by an artificial goal. Thus our guide sets off as an analysis of what makes the perfect guest post. Below, aspiring writers will find out how to perfectly marry creativity with practicality and make the article work for the reader, not against them. A title that catches the eye of the reader is not just a plus. It is a must have. Using an online headline analyzer, writers should check to see if the blog post title is inviting enough. The title is the face of the post. While some people like to look beneath the surface, the internet sadly does not work that way. Most people will jump at the chance to criticize the headline. A good headline must follow some basic principles. First of all, the title must be grammatically correct. While it may stand as obvious, there are many who overlook traditional grammar rules to appear cool or well versed in a specific slang. That is not ideal. Furthermore, the headline must contain a perfect balance of words. Common words (articles and pronouns) give a title readability. Uncommon words provide substance to back up that readability. Emotional words are the mark of engagement – appealing to the heart of the reader will result in more shares. Power words are more imperative ways of engaging the visitors – they effectively command the reader to check out the information presented. Headers need not be so strictly monitored as the title. However, that does not mean the writer should ignore them altogether. Whether it’s a list one is making, a typical opinion blog post, or a travel log, they should have to think it through more than once. A header needs to be shorter than the title. If a writer, for practical purposes, needs to exceed that limit, they should keep in mind that we mustn’t pass 55 characters or approximately 6 main words (common words do not count). However, there are exceptions to these rules. If a writer is making an article about blog posts, they’re not going to shape an intro about horse races. It should stand as obvious. However, it is furthermore indicated that the writer starts the article with an ample review of the theme they are going to cover. One needs to mention the exact subject from the very first sentence or else the reader may feel mislead. However much everyone may like poetic licenses in the intro of an article, these only work on certain subjects and it’s best to ask a friend or a peer before submitting such work for review. Every idea that we have needs to be repeatedly stressed. A writer must know how to introduce a theme, expand the theory, bring arguments in favor of it, and then conclude with a short fragment introducing the next theme. That being said, you must present a concise theme within the space of a single paragraph. A good paragraph has between three and four lines. 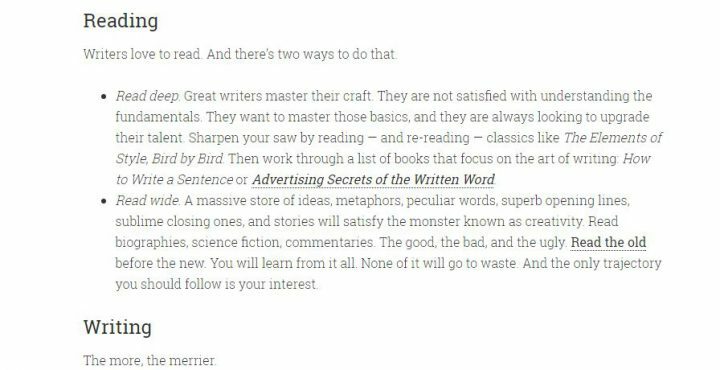 If a writer thinks he or she will need more than that, then we recommend splitting the idea into several shorter paragraphs, possibly each preceded by its own subheading. Most articles online follow these basic rules, so it’s easy to find an example of one. A good writer knows to juggle with sentences. This style was coined by Hemingway himself but eventually grew to be adopted by a lot of writers from then up to now. Short sentences are key. Two words. Maybe three words. Then top it all off with a sentence with many more words. Then back down. Three words again. This is how a writer keeps the reader engaged. Making a careful embroidery of short and long sentences can almost allow one to get away with anything – and that’s how many lying articles that try to promote propaganda spread. It turns out people have an intrinsic desire to believe in the written word. A writer must not only be good with words but also at pairing those words to adequate images. This is, in fact, much more difficult than one may think. Of all the images that can be found online, it’s not that easy to find ones that are not overused, cliché, or kitschy. Again, doing this will result not only in more views but in more engaged users. Giving our articles a consistent look promotes professionalism. It gives our readers the impression that we value our work to the smallest of details. Like with the photograph below, in which the colors complement each other to give the impression of calm. Maximizing readability. Let’s face it: nobody wants to sift through walls of text. It’s simply harrowing. Relaying information. When speaking in bullet points, information is given to the reader in bite-sized ratios. Writing goes faster and easier. Isn’t it far easier to write when one knows what he or she is writing about beforehand? It’s easy to link to high authority Links are inserted far more naturally within bullet points. Interlinking is promoted, too. One of the more important yet oft-overlooked ingredients in the SEO alchemy is interlinking. Addressing the reader’s attention is not just a matter of style. A good frame story for an article can prove a powerful and effective, engulfing tool. The visitor will get carried away by the story and can end up reading the whole blog post as a piece of fiction. Good style and story combined result in a more shareable work. The best works of fiction know how to work around the text to draw the audience closer. It’s always important to note that for the reader, the author of the blog post can be invisible, yet the article never is. If one feels like they need inspiration or a bit of pizazz, checking out contemporary writers could make for an interesting lesson. Mostly, this depends on whether one wants the reader to go on with the same article or anxiously click on a link towards another one. If the information in a blog post is relevant enough, cleverly put, and intricately hyperlinked, one will end up with one powerful internet node – a place from which readers can go in all sorts of different directions. 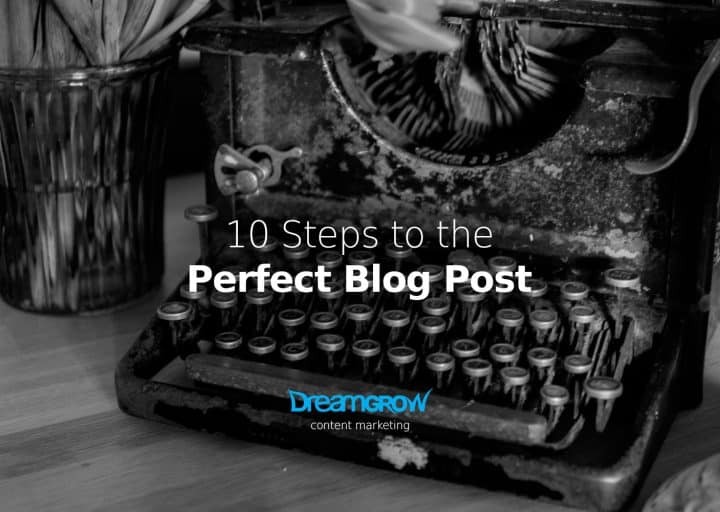 This leads us to the conclusion and the very last point on our list of the ten essential parts that go into building the perfect blog post. Writing the perfect blog post means reminding the reader what has happened in the article. This can be easily done through a circular ending. Mentioning the goals at the beginning of the article in the ending is extremely important for readability. The ultimate goal must be for the person reviewing the blog post to learn something new. The next one down the line would be for that person to contribute to your growth by passing on the article towards some of his friends or even his entire social media friends list. This has been our overview of the paramount parts of a blog article. 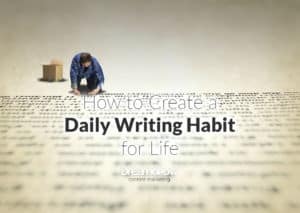 We hope this has helped our readers become better writers. Regardless of how useful the advice we’ve given here is, always remember that a writer must first and foremost be a good reader – so keep on turning those pages. All images taken from depositphotos.com except where otherwise noted. BIO: My name is Mike Jones, and I’m a full-time writer. Previous story When to Publish Blog Posts to Avoid Crickets?